Pompey have completed the signing of Joe Mason on loan from Wolves. The striker has moved to Fratton Park until January. The former Cardiff City marksman bolsters Kenny Jackett's attack in their pursuit for promotion from League One. Mason started his career at Plymouth before moving to the Bluebirds in 2011. He was signed by Kenny Jackett at Wolves in 2016 for a reported £3m and spent time out on loan at Burton Albion and MLS side Colorado Rapids last term. 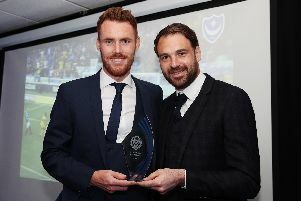 Mason becomes Pompey's 10th signing of the summer – and fourth on a temporary basis. However, the 27-year-old is unavailable for tomorrow’s League One clash against Plymouth.